With the transition from winter into spring, I am all about textures and pieces that have depth to them. 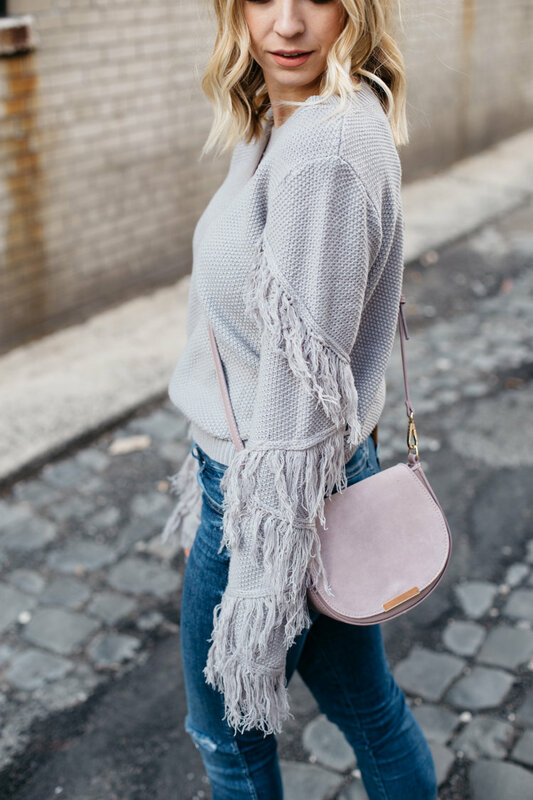 I find myself adding every ruffle and fringe top into my wardrobe that I can find. The best part is that some how every top I've gotten my hands on is so different than the last. This light weight, grey top is from Shein and I seriously can not get enough of it! 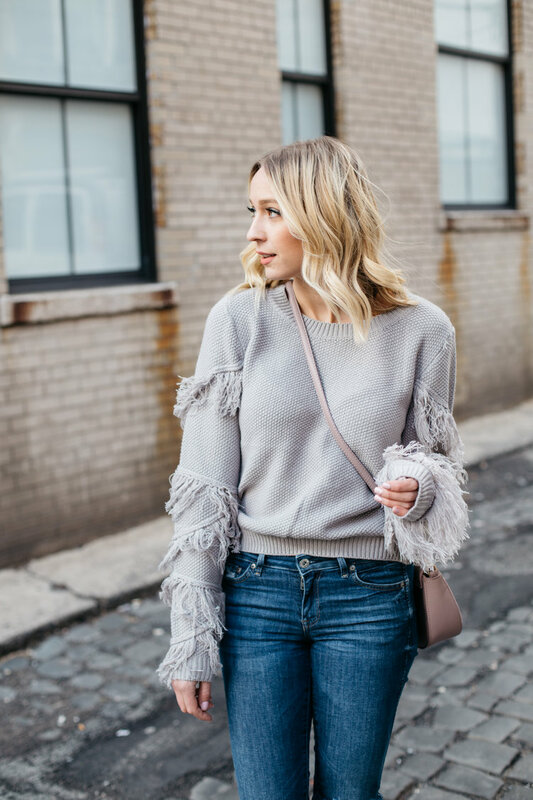 The Fringe arms are so fun and bring so much life to this sweater. I'm not lying when I say everyone asks me where I got it, it's an absolute must have! Oh, I can't forget to mention it's priced at only $14 !